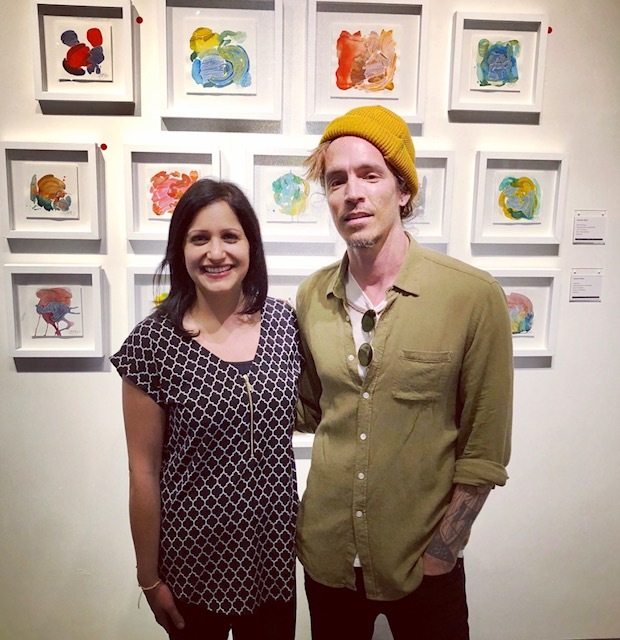 Brandon Boyd, lead singer of alternative rock band Incubus, made a special appearance in Dallas over the weekend. 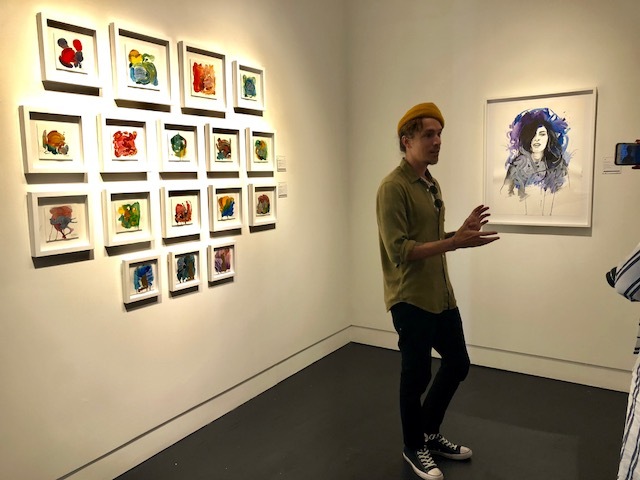 Instead of a concert, Boyd came to Dallas on the third stop of his art tour. 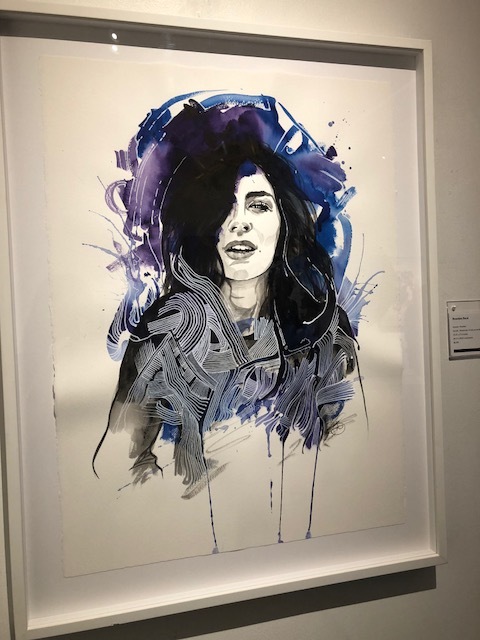 The fine art exhibition, called OptiMystic, is a combination of ink, watercolor and acrylic works on paper and canvas, as well as as a mix of portraiture and abstraction. Many of his fans may not know he started painting and drawing at an early age and had always hoped to do something more with art throughout his life. 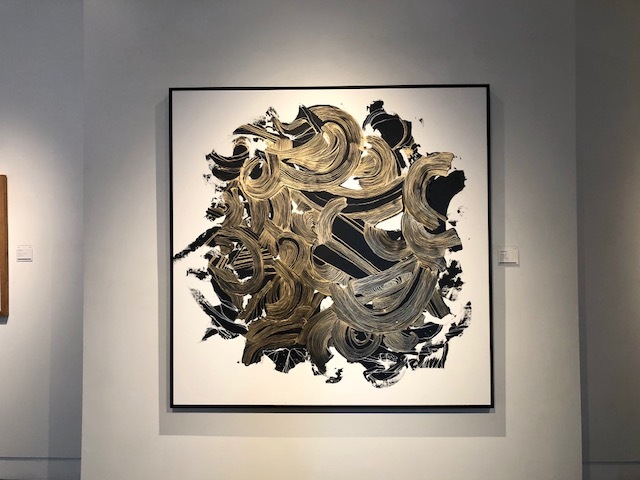 While he has experimented with art for decades, Boyd only started showing his work publicly in the early 2000s. His new collection OptiMystic was created to inspire others to be optimistic in tough times, especially in a world of uneasy current events. 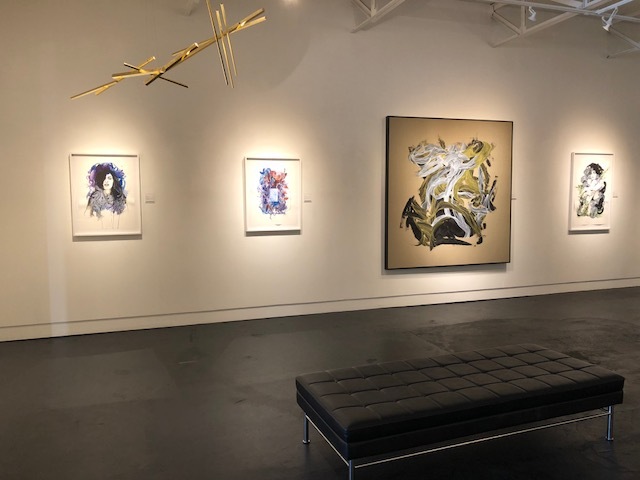 Boyd’s work is on display at Samuel Lynne Galleries in Dallas’ Design District now through June 2. 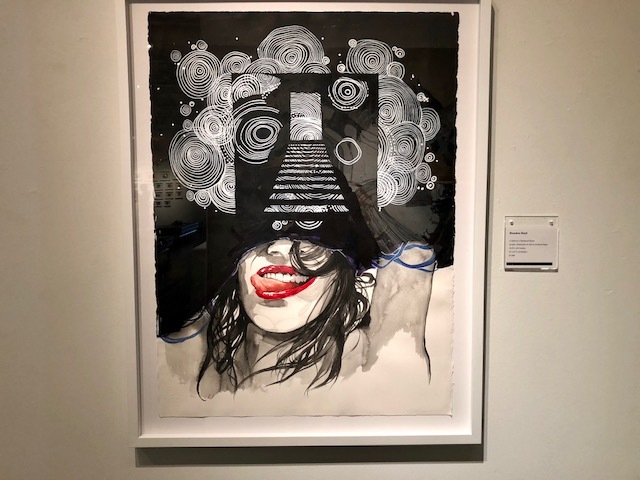 The artist was in town over the weekend for a media tour, which we were excited to attend, as well as for the opening reception. Admission is free, and all ages are welcome. Click here to see gallery hours.